Lou Wyman has been saving community landmarks and important gathering places for years. Providing many generations a link to the past and experiences they won't soon forget. The Pagoda Store is a special highlight of the museum complex, with authentic displays of the variety of goods that were available to country folk over the last 100 years. 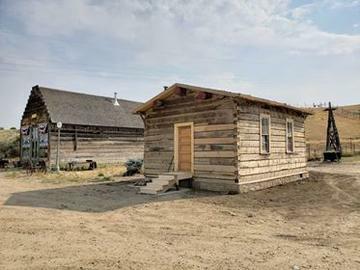 The one room Axial schoolhouse was relocated to the Wyman Museum site from where it was built alongside the highway south of Craig on the route from Craig to Meeker, CO. 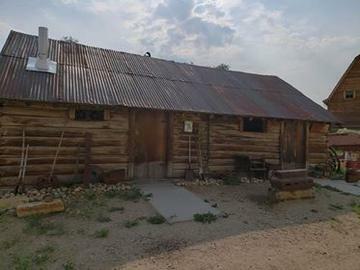 Built in Walden, Colorado and moved to the Wyman Museum in 2004 - Now fully functioning again as a working blacksmith shop. The homestead site of the current Wyman Museum location east of Craig belonged to Beryl Kleitz and the original home was built in 1889 by Mr. Norvell. When you visit the Wyman Museum you can view the exposed original building of the home. 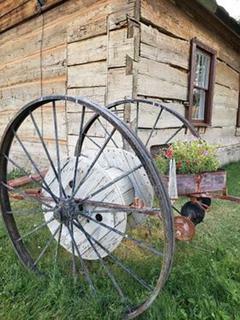 The home was built using cottonwood logs harvested from the river just south of the site. The home was added on to in the 1950's. Only the exterior of the home is available for viewing. The barn from the old Wyman homestead in its glory days was a beautiful big red barn. The barn was built in 1918 by Lew Wyman (Lou's father) on the Williams Fork homestead. The first museum site was next to the barn in the original location. 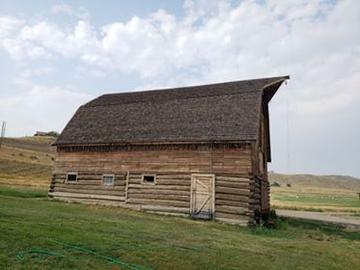 David Wyman (Lou's son) took the barn apart board by board and beam by beam to relocate it to the new site and rebuild it again beam by beam and board by board.